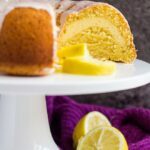 Cheesecake Swirl Lemon Bundt Cake – Deliciously moist and fluffy lemon-infused bundt cake, filled with a cheesecake swirl, and drizzled with a lemon glaze! Summer has me craving all the lemon desserts, and one of my favourite lemon desserts is cake. 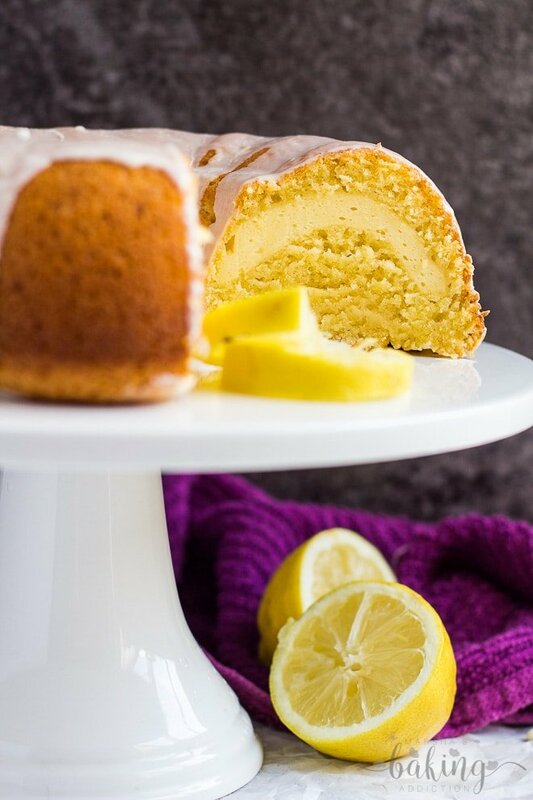 So, today I bring you my Cheesecake Swirl Lemon Bundt Cake! 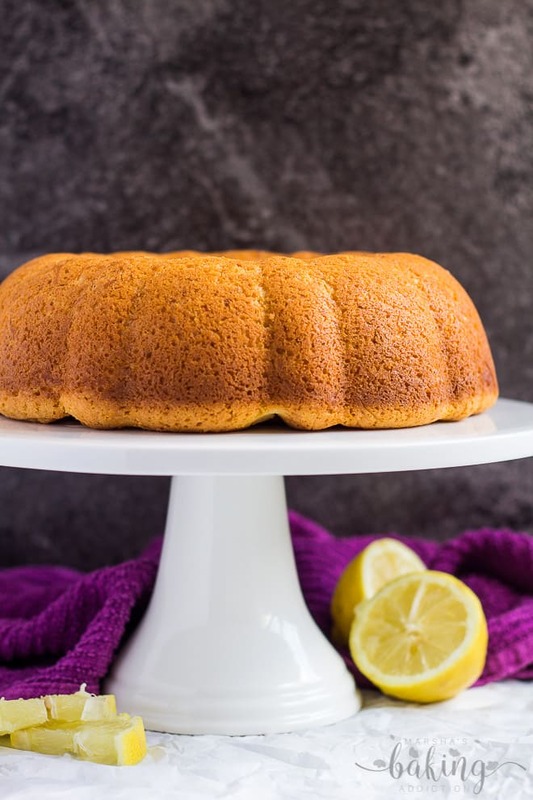 This lemon-infused cake is so moist and fluffy, filled with a lemon cheesecake layer, and topped with a sweet lemon glaze. A burst of lemon in every bite! To create the pretty cheesecake swirl you see here ↓, simply pour half of the cake batter into the bundt pan, then dollop spoonfuls of the cheesecake mixture on top, without letting it touch the sides and middle. Top with the remaining cake batter, then it’s time to bake! 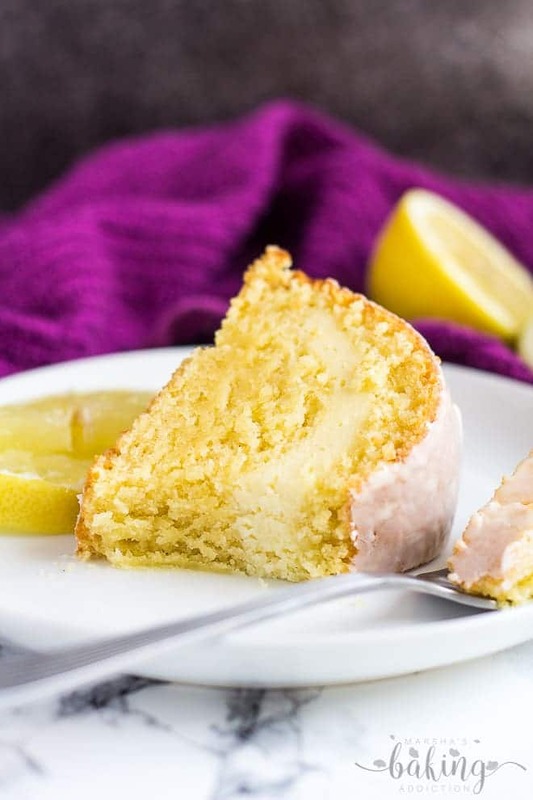 Recipes for you lemon lovers! 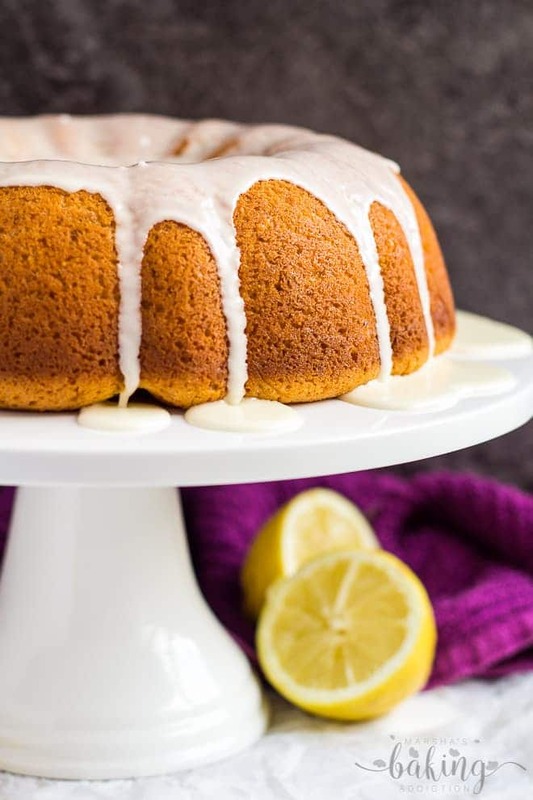 Deliciously moist and fluffy lemon-infused bundt cake, filled with a cheesecake swirl, and drizzled with a lemon glaze! Whisk together the eggs. Add the sugar, and whisk until combined. Add the lemon extract, melted butter, and yogurt, and whisk until combined. Fold in the dry ingredients. Whisk together the cream cheese and sugar until combined. Beat in the egg and lemon extract, then fold in the flour. Spread the cheesecake mixture evenly over the cake batter (making sure not to let it touch the sides and middle), then pour the remaining cake batter on top. Whisk together the icing sugar, lemon extract, and heavy cream. Add more icing sugar if too runny, or more cream if too thick. The glaze should be fairly thick, but pourable. Drizzle over the cooled cake, and serve. Leftovers can be stored in the fridge for up to 2 - 3 days. You can bake this cake 1 day in advance. Allow to cool completely, then cover tightly and keep in the fridge until ready to glaze and serve. This cake looks both refreshing and decadent at the same time! I love lemon themed dessert – especially in the summertime. I will have to put this cake on my summer “to-do” list! 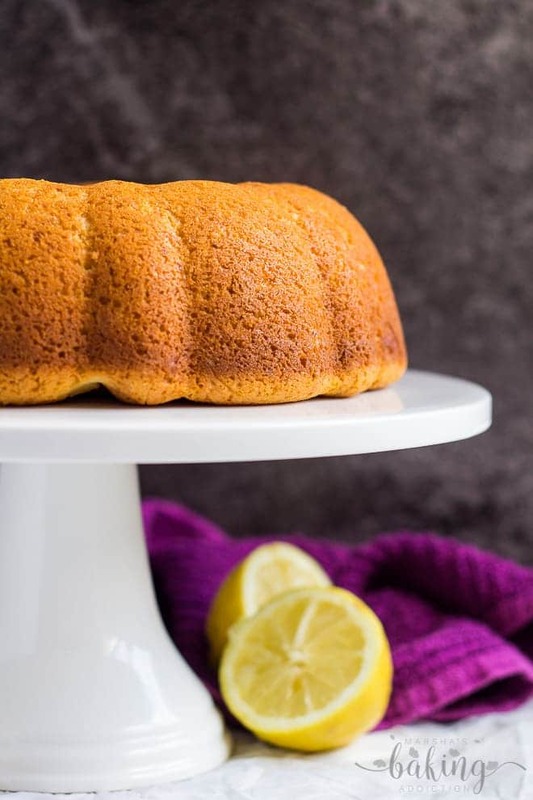 I love lemon hence this cake is definitely the best flavor for me. I will definitely give it a try. Has anyone tried to make it with mascarpone?